Will normally be delivered to you digitally as an e-ticket. You will receive a confirmation email and then a second carrier email that includes your tickets as an attachment. Please print this attachment out or be ready to show it to staff on your mobile device to gain entry to your events along with proof of purchase. Some events will not be eligible for an e-ticket and in these cases you will either have your tickets sent by post, or you will be able to collect them from our on-site festival box offices. Will arrive no later than three days before the event. 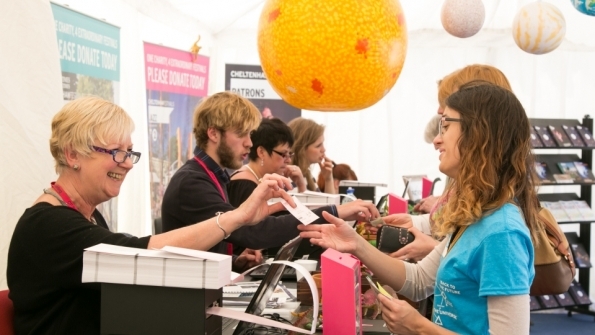 Or purchases made within days of an event will be available to collect from our on-site festival box office. Further information including opening times can be found on our box office page. In the unlikely event that your tickets do not arrive with you in the post by the time of your event , please inform the box office staff on site and provide them with your order number so that they can re-print your tickets. Tickets can not be re-printed without a valid order number or confirmation of identity. Always allow plenty of time before your event: If you are collecting tickets please bring a copy of your confirmation email to speed up the collection process.